Alessi Michael Graves Cremiera Creamer (ALCREAMR) at Pure Design / Accessories / Decorations ::: Furniture for the Home, Office, Home Office, and More at Pure Design Online! 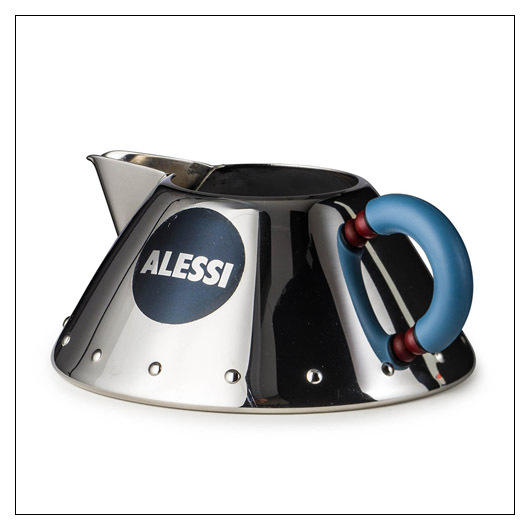 Designed by Michael Graves in 1988, the classic Alessi Michael Graves Creamer is part of a unique collection born out of Bauhaus principles and modern style. Made of stainless steel and polyamide, the Creamer is great for both formal and casual coffee settings.